The future of education: The £27,000 question! There are lots of new education trends emerging. And anyone involved in designing future learning and future institutions needs to understand them. That way they can best shape their own destinies in the way that best suits the market. After all, it is a possibility soon that students will be able to invest their government loans in a range of alternative forms of education, possibly using some of the money to help start businesses too. We wanted to share some of the trends out there, just to get you thinking. Meet Labrina. She’s a virtual student we’ve created with one purpose – to see if it’s possible to spend the £27,000 loan she would normally receive for her university tuition fees, on an alternative education that may well be better, more worthwhile and offer greater value. Online courses were obviously one way to go. But we also wanted her to go on a journey, have fun, broaden her horizons and explore new things. Just like any parents, we also wanted her to enhance her employability, develop vital skills for the future and come back safely from her travels. Video killed the radio star – And now it’s got its sights set on education. YouTube offers a melting pot of ‘learning videos’ (including videos of how to actually use a melting pot) from amateurs and professionals. While among the many other sites out there, the ‘must see’ video learning sites include Skillshare, TED Ed, and Khan Academy whose 6 million registered users try to solve 3 million problems a day. As one of Labrina’s Australian cousins recently posted on Facebook – ‘Go to 30 lectures, learn nothing; Watch half an hour of Khan Academy, know everything.’ All they need now is an exam at the end of it. We’re getting a playlist together for Labrina as we speak. And learning through video is getting a huge thumbs up from many quarters. edX – Look on the internet and you can learn just about anything. You can even take an online course at MIT, Harvard and Berkeley. Names which will look pretty impressive on Labrena’s CV. In edX’s own words, the courses are designed to be interesting, fun and rigorous. They are the best courses, from the best professors, and the best schools and span a variety of subjects, from science and technology to the humanities. Students learn through real online classes, videos and game-like labs 24/7. As the price is free and you can gain a certificate of mastery, we’re discussing with Labrina how she could sign up for an Innovation & Commercialization course in September. The rise of the MOOC – No it’s not the latest Star Wars offering, MOOC stands for Massive Open Online Course. And the emphasis is on the ‘Massive’. David Grossman of the BBC will get you up to speed. 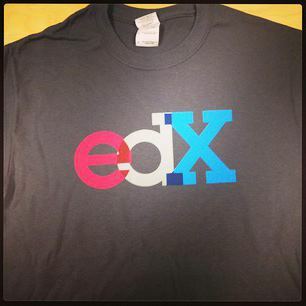 edX is a major pioneer, as is Coursera that now boasts 3.9m students and 83 partner institutions worldwide. And they have only being going just over 12 months. In a great article by The Economist they come up with some interesting facts, such as News Corporation estimating that the Edtech market will soon be worth $44m in the US alone. One of the world’s richest men is said to be creating his own Khan Academy for Mexican school children. While canny Rupert Murdoch seems content to run Amplify at a big loss for now, as he aims to capture a chunk of the Edtech market. There are now new website guides just for MOOCs and even the most traditional are behind them, as the VC at The University of Cambridge explains. The New York Times declared 2012 ‘The Year of the Mooc’. 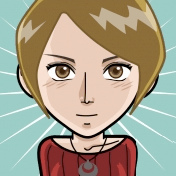 While Schoo in Japan has just raised $1.5m to rival Coursera. And a recent infographic by edudemic puts it all into perspective. Of course there are lots of other online courses available. They are pretty much a global phenomenon. MIT Open Courseware is definitely worth a look. As is the University of People and Academic Earth with courses and lectures provided by universities far and wide from India and Sweden to Australia and England. For Labrina, a course in ‘Environmental Entrepreneurship’ at Yale it is! And for the world a potential game changer. In fact, we await the launch of a MOOC about MOOCs. Strangely enough the concept has come around 360 degrees and now people can come together at a beautiful mountain resort to study MOOCs at the MOOC campus. Didn’t we call them universities? Hyper Island – Innovative people have never been so much in demand. So, where better to get the creative juices flowing than at Hyper Island? Forget the lectures, homework and textbooks, this is a project based education inspired by industry leaders. Learning is a way of life. And while there are MA courses in Manchester and London, a 45-week course as an Interactive Art Director seems ideal. Especially as it includes a 15-week internship and maybe Labrina will love the adventure of learning at an old prison on an island in Sweden. Amani Institute – A summer semester in Social Entrepreneurship in Nairobi, Kenya will prove a real adventure, as she learns how social entrepreneurship can be a powerful approach to solving social problems. 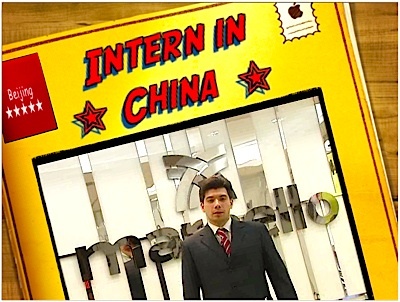 International internships – Every graduate CV should have one to show they can make it in the real world. And then there are the invaluable networks that that are formed and the LinkedIn contacts too. You no longer have to rely on a random placement or a family connection either. There’s a whole industry ‘arranging’ paid internships. And there’s nowhere hotter to learn than China. So, we thought we’d get Labrina signed up with Getin2China where you can gain experience in everything from accountancy and art gallery management to finance, marketing and web design. She can also study Mandarin and stay with a Chinese family to really absorb the culture. Now where’s that virtual passport? If all of this seems a very long way off – it’s already happening. For evidence of this check out the adventures of the Eduventurist. We’ve had a bit of fun putting this blog together, but the implications could be massive with hundreds of colleges and universities closing in the future. It’s a subject explored very comprehensively in this excellent article in The American Interest. And for the students themselves, the opportunities to pick and mix their learning experience has never been better or more exciting. For Labrina, the future is brighter than her pixels. You might be asking yourselves, what if there was one place I could go to help me map out a bespoke education. Well the sites are already appearing. Take a look at the Edupunk’s Atlas and see how you could spend your own £27,000. Of course, this is all just a snapshot of the rapid change out there. We’ve not even touched on the hybrids, the hangouts and the hives of learning taking place in start-up incubators. There’s the Minerva Project over in the US, aiming to bring together many of the brightest students to learn and travel together. Or there’s the real-world experience, and potential earnings, you can get by tapping into live creative briefs from the comfort of your own home – all at Concept Cupboard. All of this, and lots more is in our Lab and available to inspire and help shape your own way forward. If you want to learn more about how the Future Index can help you then please look at how we help institutions with their future employability offer by clicking here.